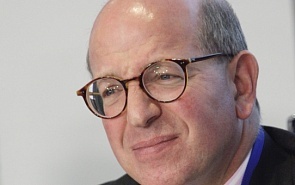 James Sherr is a former head of the Chatham House Russia and Eurasia Programme (2008–2011). He is also an Adjunct Fellow of the Razumkov Centre (Kyiv), Senior Associate Fellow of the Institute of Statecraft and a former Bosch Public Affairs Fellow of the Transatlantic Academy, Washington. He was a member of the Social Studies Faculty of Oxford University (1993–2012), a Fellow of the Conflict Studies Research Centre of the UK Ministry of Defence (1995-2008) and Director of Studies of the Royal United Services Institute (1983–1985). The author of Hard Diplomacy and Soft Coercion: Russia’s Influence Abroad (2013), he has published extensively on Soviet, Russian and Ukrainian military, security and foreign policy. His latest monograph, The Militarization of Russian Policy was published in August 2017. The UK is a force multiplier in the EU and a pillar of Atlanticism inside it. Remainers argue that it is as a European power that Britain strengthens Atlanticism. If Britain is outside, the Atlanticist impulse will weaken, and other impulses will make themselves felt. After very anticipated first Russian and US presidents' meeting, James Sherr, Associate Fellow, Russia and Eurasia Programme, Royal Institute of International Affairs (Chatham House) told valdaiclub.com that both sides used this opportunity to underline the importance of Moscow-Washington relationship and direct contacts between two presidents, in particular. Donald Trump’s inauguration speech on January 20, 2017 sent shockwaves across the whole American political spectrum and caused powerful repercussions internationally. In a series of interviews with valdaiclub.com, the Valdai Club experts shared their impressions of the speech. The past year began with a reiteration of the West’s fragile unity and ended with a revolution. The new year will reveal its dynamics. Even in a revolutionary age, revolutions can be defeated, but not if the bastions of the established order refuse to accept that they are taking place. If the EU’s answer to dissent is ‘closer integration’, its leaders not only risk the fate of Clinton and Cameron, but of those who called for ‘more socialism’ in the final years of the USSR. Valdai Club Russian and foreign experts have said that Vladimir Putin’s statement about the possibility of running for president in 2018 was the most interesting, although not at all unexpected. Members of the Russian opposition, however, pointed to Putin’s words on protest movements in Russia and his promise to consider an amnesty for the Bolotnaya Square protesters. Nabucco and South Stream are very different in both concept and structure, and this is important for understanding the strengths and weaknesses of each project. Nabucco is a mercantile pipeline. It is being developed and financed by gas companies with backing from the European Union.